CRAIGHOPPERS NosiLife Mens Long Sleeve Shirt in Faded Indigo. Two front pockets, vent in the back. 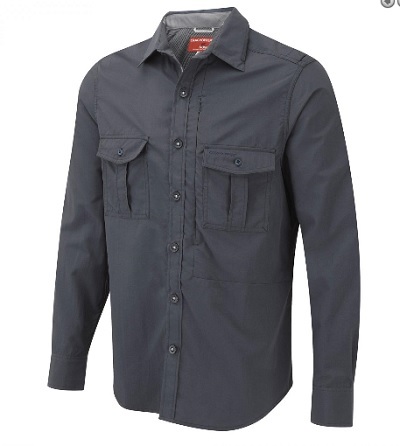 Our de facto sun-protective adventure travel shirt already has thousands of miles under its collar! This hot-climate essential is a summer favourite, offering reliable sun-protective, insect-repellent performance to travellers the world over. Built for the trail. Sizes: M only. Please check stock level on 03 51531497 before purchasing. Will fit into an Australia Post small satchel.